Has an insurance company being trying to contact you? Attorney Sullivan offers free consultations on injury cases. There is no legal fee unless there is a recovery for you! If you have been injured in a car, motorcycle or truck accident, you need a lawyer with the proven experience to handle your case. Attorney Sullivan has recovered millions of dollars for his injured clients and will help you to recover the money you deserve. 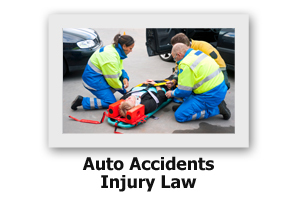 Attorney Sullivan has successfully represented clients injured as a result of motor vehicle accidents, slip and fall accidents, dog bites, injuries to children, pedestrian injuries and wrongful death cases. When you hire Attorney Sullivan for your injury case, you get the personal attention you deserve. Don't go it alone! That is just what the insurance companies are hoping you will do. Call Attorney Sullivan and let him maximize your recovery.